Action on the refinement of the Arcadia bid was completed on time. It remains now for the Commodore to confer with Arcadia and Centennial Bank to determine what level of financing the project can now qualify for. If the bank will cover the new, but higher need for funds, the project might proceed at once or other options might be available. In any event, the members will be advised and a special General Membership meeting will be called to discuss the emerging situation. Look for the next update by July 15th. 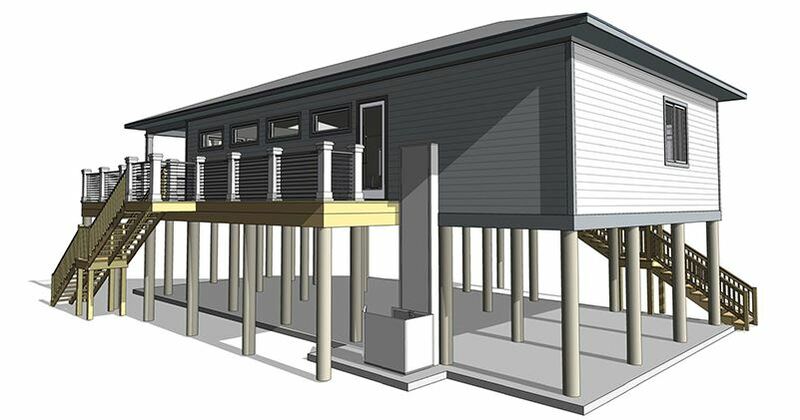 This week's news regarding the progress on the PBYC building is very good. According to the update of May 14, 2016 and the timeline projected for various stages in the construction we are actually a little bit ahead of schedule. The bid packages are out to the prospective contractors and comments from them suggest we can expect to have them in our hands by June 3 and the board will make a decision June 5 on the selection of the contractor for our building. According to projections at this time groundbreaking will occur on or before July 5 and we expect the construction to be complete by the end of October. Inasmuch as we will have many more details on June 3 the next building update will be published on June 6. About two dozen Club members met in the SRIA Board room last night to attend the May PBYC General Membership meeting. They were presented with an extremely detailed account of where the building project has been heading, why there have been delays, who all are the professional players on the team, what technical issues were missing, what has been done to remedy obstacles, what new decisions have had to be made to eliminate road blocks etc. The report took more than 90 minutes to present. The final drawings were put on display and everyone had a chance to ask any question they wanted until there were no more questions. Everyone seemed to go home happy. Today the bid requests are going out and the architect is making ready to draw a building permit from the County. Obviously we cannot transcribe all of last night’s presentation in this brief update blog. But what is important to know is that the bid deadline is June3, 2016. As of today, four contractors have begun to talk to us. So in a perfect world, we will award the contract at “cost plus” to one bidder on June 10. We expect that contractor to complete sub contractor communications by the end of June and to pull the full project permit from the County on July 1. Start of construction is July 5, 2016. So in a perfect world we complete construction in about 4 months, By Halloween. Turnout last night was disappointing. Given the critical nature of the building project to our survival and the demands from members for more and better communication, we’d have expected more than half of the 105 member households to have sent a representative to this meeting. If you didn’t get two emails this week reminding you of the meeting along with notice in the Spreader May1 please tell me at vicecommodore@pensacolabeachyachtclub.org. The next General Meeting is August 11, 2016 at the SRIA building at 7 PM. For info, the GM meeting is always the second Thursday of Feb, May, Aug, and Nov. So it is easy to put it on your schedule months in advance to avoid conflict. The next update will be in two weeks. 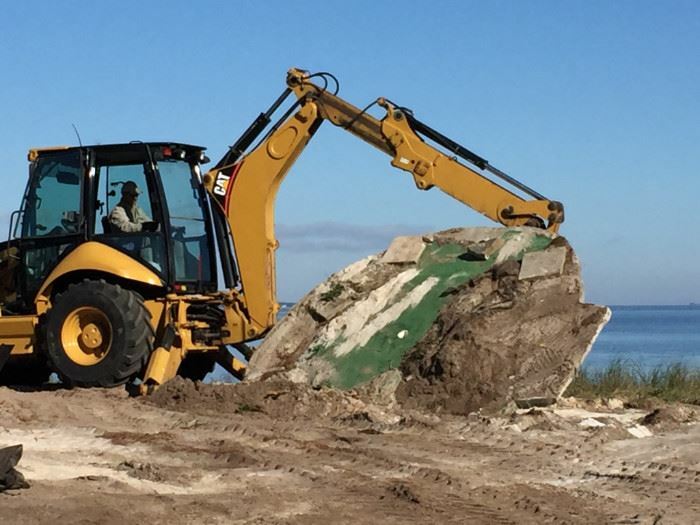 Experts familiar with construction schedules for simple 1500 square foot buildings like our clubhouse predict a four to five month start to finish after all permits are in hand. We should have our permits shortly after June1. There has been no change in the budget. We continue to calculate that we have sufficient funds to complete the project within budget. The next update with be filed NLT May 9. The Board and Lisa Sharp met with our builder,Mike Haile on April 11 to review current progress and projections on the Club House building project. The plans are being produced by multiple contractors. The architect at Britt Duch's firm have completed the structural plans and elevations and those views are posted on this web site. That architect is not creating some of the other craft designs like electrical, H&V, plumbing etc. Those are being completed by licensed sub contractors and they are not complete at this time. But Haile is confident that the progress he sees taking place will allow him to have the whole design approved by the County and SRIA by April 30 or before. He has been told to order the pilings. He looks for a dried in building by July 4th.Without any unusual delay he projects we should get occupancy by the end of August. Any member who wishes to see documents related to the project which have previously been approved by the board can do so by asking as such of any board member by phone email or in person. If a group viewing makes sense, short of delaying the project we will set one up. It is unlikely that changes will be made after the builders, the board and the building committee approve plan details. Such changes are very expensive and cause serious delays. The board will post an update on this site at least every two weeks with all news good or not, so every member feels they know what is going on. Specific details like"stainless steel nails or carbon steel on decking?What is the roof made of? How high are the ceilings etc" can be obtained by emailing gree5381@gmail.com. Next update NLT April 25. As you are all aware, we have been trying to get the finished plans for the new building. During our planning and approval process, it has become quite a daunting task ito educate the engineers, architects and the county in regards to our new building and how it comes together. We were recently advised that it take up to six months to get all of the approval for the proposed module building construction. And that is time we don’t have. With that said, and with the Board’s blessing, we have switched to plan B which is to use traditional construction. We have had this plan in place as a backup so that we could move forward quickly if necessary. We hope to have the plans by the end of next week for review and permitting so that we can start construction ASAP. Our contractor feels that he will be able to accomplish the completion of construction within 4 months max and within our budget. We are moving as quickly as possible to make our dream a reality. With the work we have done so far, this process will move very quickly and we will be under construction before you know it. 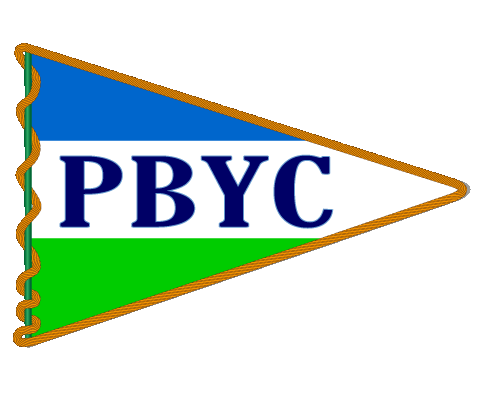 PBYC is accepting resumes for a Facility/Bar Manager. 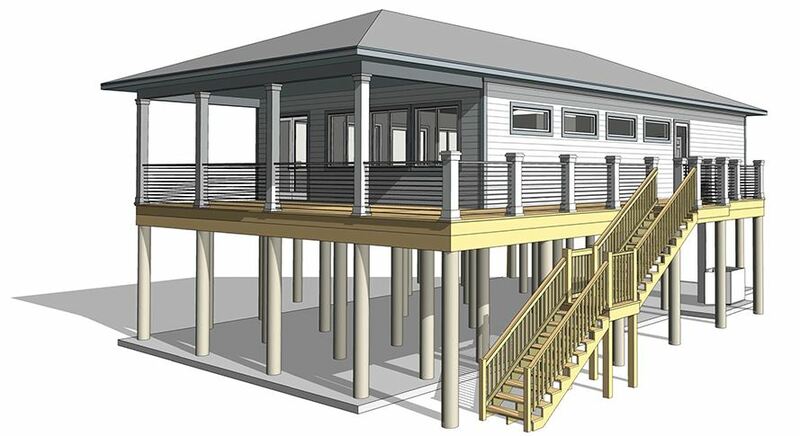 This is a full-time position with comprehensive responsibility for the Pensacola Beach Clubhouse facility and Bar which is currently under construction on Pensacola Beach. The ideal candidate should have experience in bar operations and management of bar employees. Some occasional bar tending will be part of the job description. Facility operational management will include security , maintenance and customer relations. Compensation is based on experience. Vice Commodore Al Greene, vicecommodore@penscolabeachyachtclub.org. Al can also be reached by phone 850-723 7794. Corrie Keich has stepped up to be the chair of the Roses committee. With all of the excitement surrounding the new PBYC club house, the pressure is on to make this another outstanding PBYC event. Great events create greater interest in our club! Volunteers are stepping up to the plate to help with publicity, trophies, logo design, merchandise, recruiting boats, donations, food, roses and committee boats. 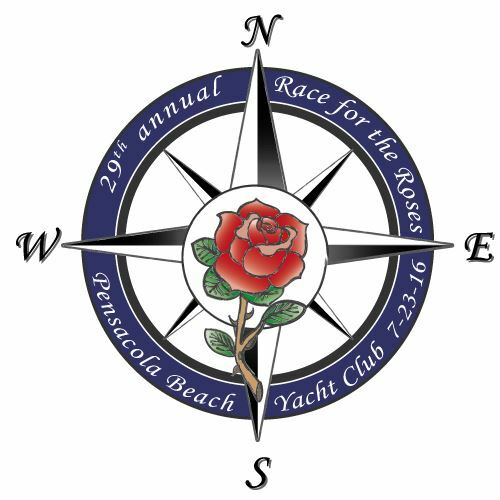 The Roses committee will be presenting a budget to the PBYC Board that will cover all expenses. One of the major fundraising events will be a Junk in the Trunk yard sale on the new property Saturday April 23rd. All participants will load up their cars with stuff they don’t need and unload or sell things from the trunk of their cars. All profits to be donated to the Race for Roses committee to fund the Regatta. So start your spring cleaning now and let Corrie know if you can participate! If you have good stuff to donate but cannot attend the sale, let her know as well. Please contact any of the Roses Committee members if you can help with ideas, donations, goody bag items or other support. The February 2015 Spreader was emailed to our members recently. You can read the articles online in our news archive. A huge thank you to George Gamble for bringing his big boy toys out last week to perform some serious destruction! We got a lot done in just two days. All of the trees that needed to be removed are gone, and a lot of the concrete has been broken up. We had to remove all of the carpeting from all of the golf holes so the concrete can be recycled. It was some difficult work, many thanks to Doc, JP, Lisa, Al M., Tim S, Tom W, Jean, Tom, Steve H, and all of the other awesome members who volunteered their time and muscle. Lisa is working at lightening fast speed to get the remaining approvals and permits sorted out. Enjoy a drink and some delicious food with your fellow yachties every Wednesday night starting at 5:30 at the Hemingway's main bar upstairs. They will have $4 Mojitos and $1 fish taco's. More drink specials are to be determined. I am super excited to announce that we will FINALLY be getting a new website! You all know this is long overdue! Our new (proposed) member Jean Hughe Rolland and Maria Weisnicht are spearheading this new project and hope to have it up and running in the next month or so. Andrea, Christy, Mike B, and myself are exploring ways to integrate our membership database with the website and our bank accounts. Achieving this will simplify and automate new member processing, dues payments, email blasts, and the newly approved monthly billing option! I am sure you can imagine what an incredible milestone this will be for the Yacht Club and its officers. The idea is roughly, that rather than us having to contact every member every time a payment is due, the system will do it for us. It will also make life much easier for the board as we transition into what is sure to be a rapid growth phase!